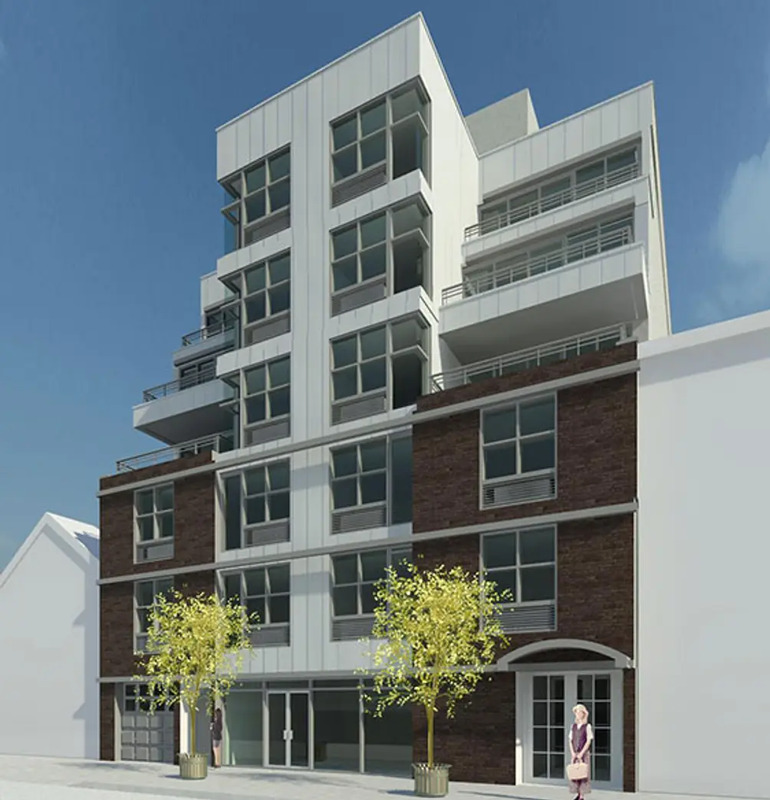 Leasing has launched at 387 Manhattan Avenue in Williamsburg, a newly constructed mixed-use building rising to six stories and offering a total of 12 studio and one-bedroom apartments. Studios have yet to hit the market, but one-bedroom listings are currently priced from $2,995/month. Listings are no-fee and include 1 month of free rent, with net effective pricing advertised. Courtesy of MSN, listings boast features like open layouts, floor-to-ceiling windows and bathrooms with deep soaking tubs. 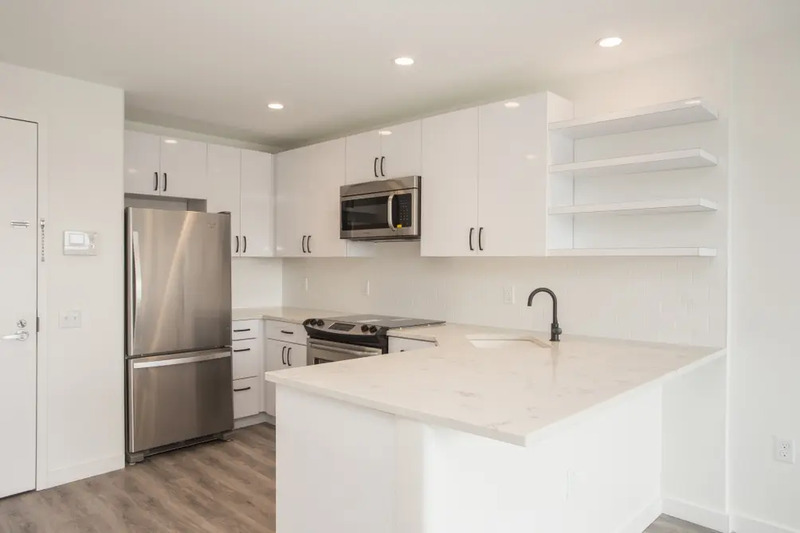 Kitchens are equipped with stainless steel appliances, and marble countertops include breakfast bars, too. There is plenty of closet space, climate control, recessed lighting, and select units have private terraces. Interiors are functional and modest, with a muted palette that any renter can easily customize. The property was developed by RJ Capital Holdings and the new building offers 20,500 square feet of space. The residences are located on the 4th through 6th floor, while the 2nd and 3rd floors are reserved for community facilities. The first floor has a residential lobby, retail space and limited on-site parking. Jarmel Kizel Architects & Engineers designed the building which has an interesting winged setbacks, creating the private terraces. Convenient amenities in the pet-friendly building include on-site laundry, bike parking, and a rooftop recreation area - along with the appealing three-block distance from McCarren Park, which has undergone renovations in recent years. As reported by our official blog earlier this year, three units in the building are reserved for those earning 60 percent of the area median income in a housing lottery which closed on June 15th, 2017. Visit CityRealty’s 387 Manhattan Avenue profile for listings, more photos and to contact the leasing office. Keep scrolling for more photos of the new units.